Members of the Black River chapter of the St Elizabeth Chamber of Commerce believe that the annual Black River Day which attracts over 25,000 to the town, will provide a significant multi-million dollar economic jolt to the sleepy coastal town, promoting commercial activity within a framework of culture, culinary experiences, fun, and entertainment. "The town is a historic one and has been accused of being sleepy, we are very happy with our own efforts to stimulate, a boost to commercial activity, an opportunity to have good clean fun, and create social linkages that will strengthen the parish," David Morris, president of the Black River Chapter of the of Commerce, said in a release. The Black River town is the capital and located on the south coast of St Elizabeth. Black River is noted as being the first place in Jamaica to receive certain technological innovations such as electricity and motorcars. The town stands at the mouth of the famous Black River, the longest navigable river in the island, and which was also used in the past as a means of transporting goods in and out of the country. The town was once a major sea port for the island with the chief export being logwood. "Black River has several attributes, the river and the Black River Bay. The river is the longest navigable river where you can reach further inland than any other river. That's why the town prospered and grew, we had a garrison there, and a mini fort because the town was the perfect place for an invading power to come in and get inland. The town grew around the river," historian Allison Morris said. Black River is long past its glory days as a busy commercial hub. Today, it is sleepy, charming town with a population of approximately over 6,000 people, and its main industry is fishing. Residents are pushing to keep the town alive and Black River Day is pivotal to the town's long-term hopes. "Black River Day means a lot to the community, we don't get a lot of traffic in the town at once. With an event like this, business picks up and along the main street, and the town people get a sense of pride about residing in the town,which in a sense is a forgotten town, living in the shadow of history," Morris said. "The residents of Black River want development, but we don't want to pay a terrible price that will affect our way of life. The town is relatively free of crime, we don't want to get too big too fast to the point where we can't recognise the town again." She pointed to the rich history of the town. Black River was once a prosperous shipping port for logwood and sugar. There are two sugar factories in the parish at Holland and Appleton. In the early days, Europeans used logwood to make a die and later, sugar was the primary export for most Caribbean countries. The decline of the sugar industry however, and the cessation of logwood exportation dealt a heavy blow to the economy of the town. "Black River was a wealthy town, the inhabitants were able to afford many innovations. Black River was the first town in Jamaica to be lighted by electricity in 1893. This was provided by an electric plant which was located on York Terrace. Electricity was generated and sold by two local merchants, the Leyden Brothers; and by 1903 there were already motorcars being driven on the streets of the town. And less than 10 years after the invention of the telephone, Black River had several homes with the instrument," she said. When one drives through the town, the predominant architectural styles in the town are Georgian and Victorian, which reflect two distinct periods in the island's history. The buildings constructed before 1900 were made mainly of brick and wood. The wooden buildings have been sand-dashed, a preservation technique developed in the eighteenth century to protect the wood from decay. Most homes feature sash windows with jalousies, used to keep the buildings cool. Many of the homes were built along High Street which runs along the shoreline, protected by a low seawall that affords a breathtaking view of the bay. Many of the old merchant homes are now being used to provide visitor accommodation, and the unique natural attributes of the area make it a prime target of nature lovers who can take the 12-mile trek up the Black River and into the Morass, where if you’re lucky, you will get to see a saltwater crocodile or two. "The Waterloo guest house was the first home to be lit by electricity and it was owned by Englishman John Leyden. One of the most historic landmarks is the Invercauld, one of the houses owned by the wealthy Leyden family, which is now used as an offshore medical school, AIIMS, so it is being preserved and maintained. The Magdala, another house which was owned by the Leyden family, and is operated by the Roman Catholic church, but it has fallen into disrepair because they need help to preserve it. Another building is the St. John's Anglican church is over 300 years, but which was built over, so the present structure is between 175 to 180 years old," Mrs. Morris said. Morris hopes that the buzz created by the Black River Day will spark more interest in their town from political interests, so that the history of the town can be preserved for posterity. "We are the only town doing something like this, the Black River Day is pushed by private citizens, mainly the Chamber of Commerce who volunteer at the event. We get some support from parish council, but it is mainly private interests that push it. History cannot die, but it will be good if we can generate our own money so that we can renovate and preserve our historic buildings so that people can see something to remember our history by," she said. The Black River Day will begin with a float parade in the morning, led by a decorated 40-foot trailer, marching bands, uniformed groups and community groups. 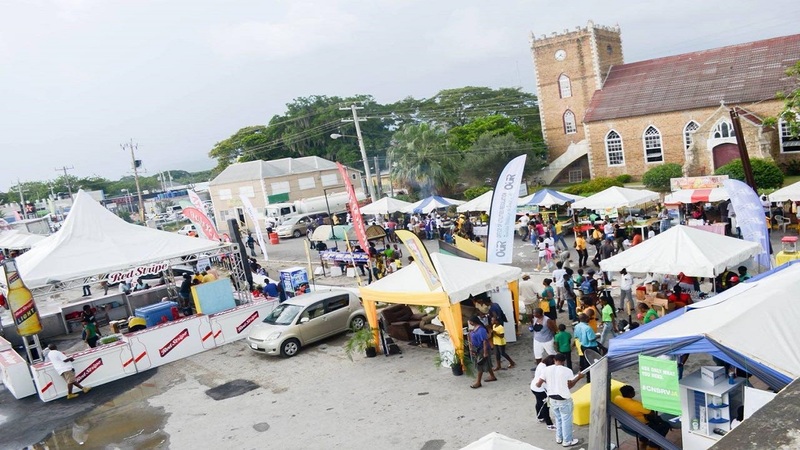 There will be a food court featuring a wide variety of Jamaican dishes, according to the organisers. Music will be a dominant feature with a range of bands providing rhythmic strains from church, soca, reggae, mento, and pop. Dancehall acts such as Vershon, Gage, Laden and Wayne Marshall, reggae acts Admiral Tibet, Singer J, Queen Kamarla, Mikeylous, and Villa Dutch; as well as gospel acts George Nooks and Lt. Stitchie will be wowing the audiences with their talents during the main stage show. This will mark the sixth year of the street festival. 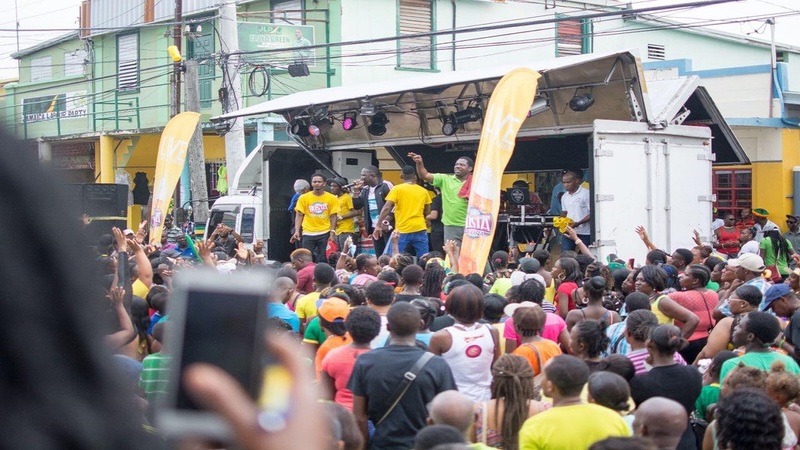 The organisers say entertainment activities for children will include displays by the Jamaica Fire Brigade, a health fair, rides and other sources of thrills at a Kiddies Village, and stilt walking.